I hope you are all enjoying your long weekend. Ours has been fun, lots of playing and some crafting too. Went to Michael's this morning and took advantage of some of their sales today and my 50% off coupon. Anyhow, I do have a couple of cards to share with you today. The first is for this week's CASE study challenge. As you can see, I changed the colors and I did that because I really needed to make Christmas cards for OWH. I did, however keep the sketch as similar to the original as I could. I was quite happy with the result and will probably make another one for my own personal Christmas collection. I used PTI New Leaf, Pure Poppy, White and Black for my color palette. The stamps are from Inkadinkado. 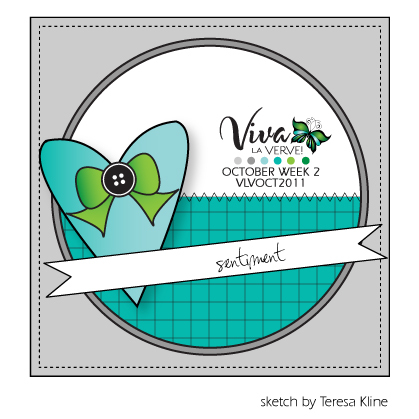 The second card for today is for the second week of this month's Viva La Verve sketch challenge. This was another fun sketch and it really made me realize how you could take some nontraditional stamps and use them for Christmas themed cards. I used New Leaf for my base and a piece of pattern paper from Hobby Lobby. I used the faux letter press technique for the top half of the center circle. I brayered my snowflake cuttlebug with Bravo Burgundy ink and then laid my white circle in there and ran it through the machine. This is such a fun fun technique and one that I have a feeling I will be using a lot for my holiday cards. I added an Ocean Tide scalloped circle and a lighter blue circle mat as well. The flowers and leaves are from Verve's "Sunny Days" set. The sentiments across the center are rub ons from Stampin Up. LOVE the texture and patterns an your CASE Study card, the colours are fantastic too! What wonderful cards! 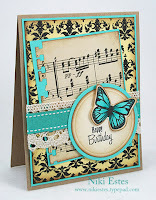 Great no designer paper challenge! Thanks for playing along with us this week at Speedy the Cat's Friends challenge! All your cards are truly wonderful. Looks like you got to spend some quality time with your card making tools! Beautifully done. Thank you so much for playing along with Speedy the Cat's Friends "No Designer Paper" challenge. It is a delight to visit you and see what you created for our viewing pleasure. Good luck in the drawing and hope you can join us again in the next challenge. Loely combination of color and texture. Thanks for sharing your art in the Creative Inspirations Paints challenge. Dori, this is so lovely. Thanks for joining us at Little Claire's. Many thanks for joining in with our Anything Goes challenge over at OSAAT. Hope to see you back again soon. Thank you for joining us at IDIC this week. A lovely selection of cards. Great layout and colours. 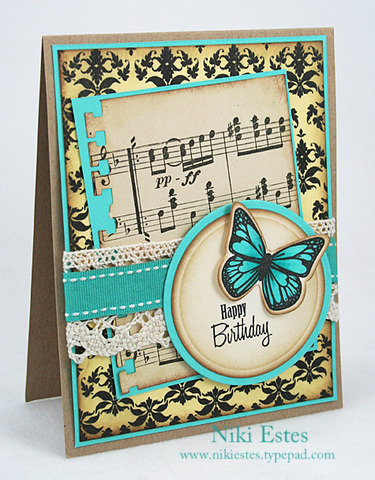 Beautiful cards - love the way you've put them together.